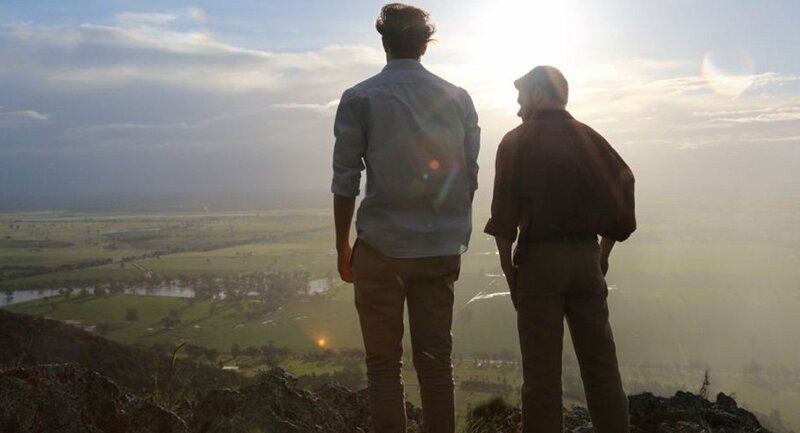 Filmmaker Ian W Thomson explores the emotional and psychological pressures faced by young men in rural Australia in this powerful new short film. Part one of a trilogy, The Invisible Edge unveils the issue of youth male suicide in rural Australia from three different perspectives. After breaking down on stage during his first international piano recital, David returns to the family farm heavily medicated and with a sense of failure. He is picked up at the regional airport by his larrikin older brother Jack. After Jack’s sky-larking causes a near collision with a semi-trailer, he talks David into taking a detour via the Gorge where they spent much of their childhood. As they climb the peak David relives the oppressive nature of their relationship, until at wits’ end he’s forced to make a final decision. Following the screening, there will be a separate facilitated discussion/evaluation of the film (in an adjacent room) using the Visual Matrix method. An innovation of the Psycho-Social Research Unit at the University of Central Lancashire, the Visual Matrix is designed to capture emotional and conceptual responses to complex experiences (in this case, relating to the subject of suicide) using film/visual material as a stimulus. Its purpose is to facilitate discussion, privileging felt experience rather than professional discourse. To that end, the Visual Matrix is open to participants with diverse forms of personal, family/community or professional experience of suicide/mental health. Please note that the Visual Matrix is a formal research process that has received Ethics approval (ref. HC15513). Participation requires attendance for the full session. The session will be audio recorded and analysis of the discussion may be published, although participants will not be identified. In order to participate in the Visual Matrix, you will be required to read and sign an Ethics consent form. For further participant information on the visual matrix research process and a copy of the consent form, please contact Rachael Kiang at r.kiang@unsw.edu.au. As limited places are available, please register to attend, and let us know of your Access requirements at time of registration. Please be aware that the discussion-based programs offered by The Big Anxiety DO NOT provide counselling, therapy, psychiatric/medical care, or crisis support. If you are distressed or need assistance while attending the festival, please make contact with The Big Anxiety staff/volunteers or on-site representatives of the Black Dog Institute. The Big Anxiety volunteers are not health professionals but are trained to direct you to appropriate supports. For further information on the visual matrix and a copy of the consent form, please contact Rachael Kiang at r.kiang@unsw.edu.au or +61 2 8936 0619. In addition to working as a freelance creative, strategist and director, Ian currently leads the Advertising and Media faculty at Macleay College – facilitating innovation, creativity and branding workshops. His freelance work as a director and scriptwriter has seen him create commercials, corporate films and documentaries both in Australia and overseas. His latest film OUT in the line-up is currently screening at a number of international festivals and has picked up awards in Australia, America and Europe. 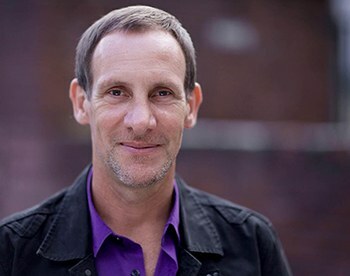 The Invisible Edge was developed as part of his Masters in Media Arts from the University of Technology in Sydney. Ian is particularly interested in the intersection between narrative fiction and social issues, and how films such as this can have a positive influence for those suffering under mental health issues by creating awareness and engagement.